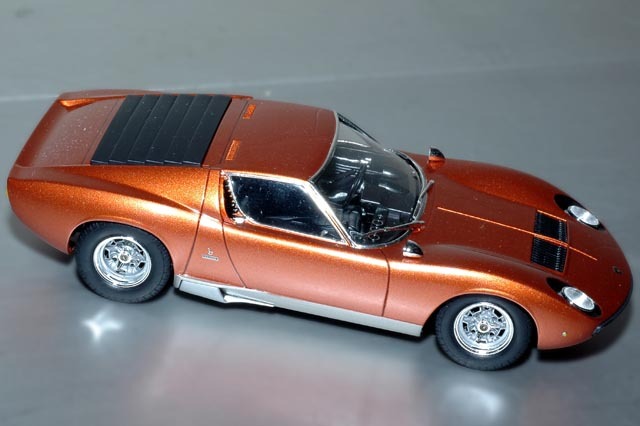 Randy essentially built his Miura SV in box-stock fashion from a recent Hasegawa release. He used Dupli-Color Orange Mist for the body color and sealed it with Tamiya clear coat before polishing it with a micro-mesh polishing kit. All the chrome body emblems are self-adhesive kit pieces. The rest is deftly paint-detailed and Bare-Metal foiled.